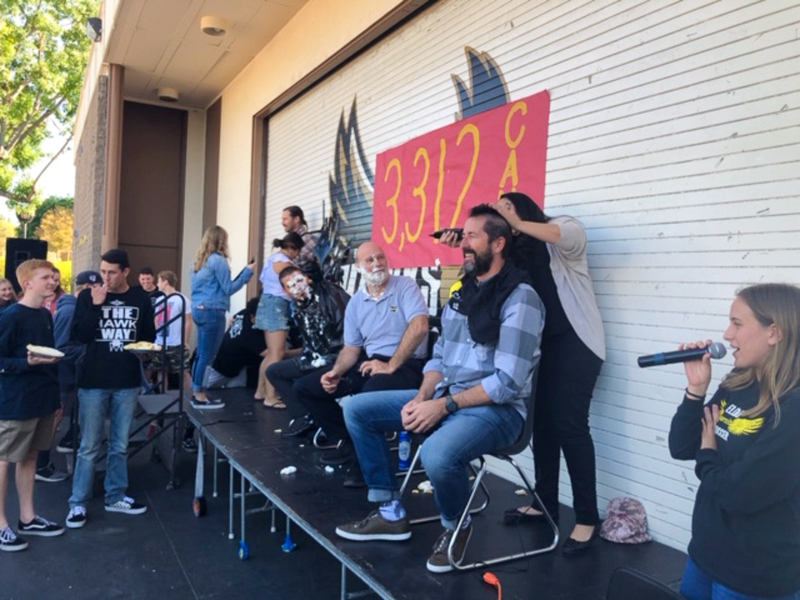 Assistant Principal Dupont (left) and Principal Joey Davis (right) agreed to be pied if their student body raised over 1,000 canned food items for National Honor Society's recent drive. On Monday, November 26, El Dorado High School (EDHS) celebrated the great success of National Honor Society’s (NHS) recent Canned Food Drive by completing promises made if the Golden Hawks delivered on their goal of donating more than 3,000 cans. 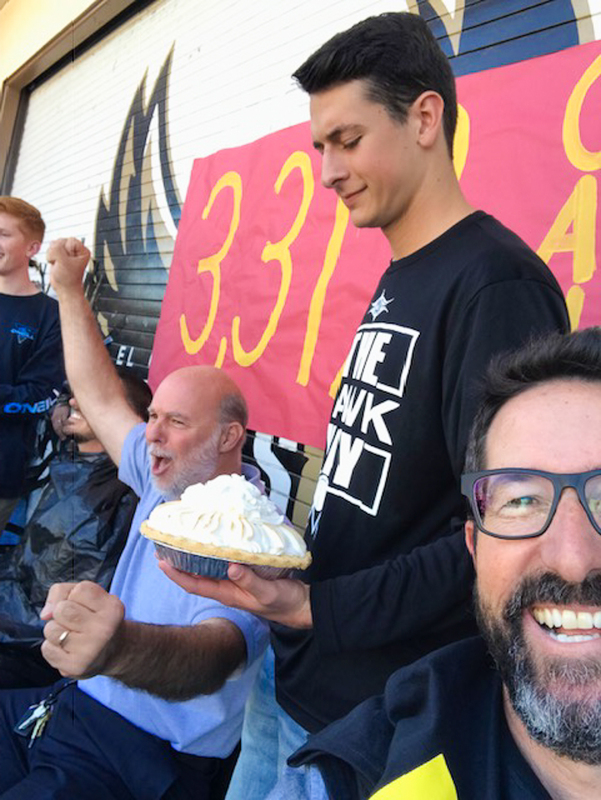 Principal Joey Davis and Assistant Principal Dan Dupont agreed to be pied in the face if the school made it past 1,000 cans. 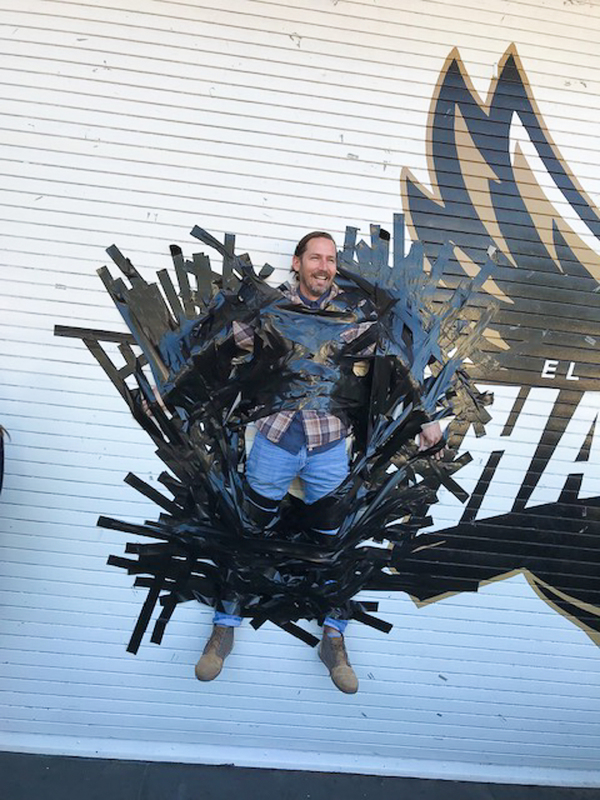 Art teacher, Mr. Picou, promised to let students duct-tape him to the school’s theatron wall if more than 2,000 cans were collected. 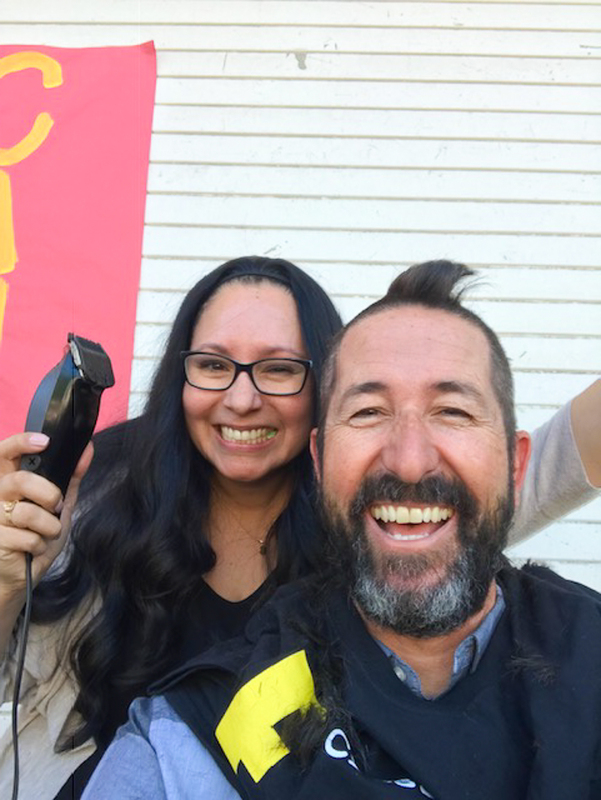 Lastly, Activities Director Eron Campuzano vowed to get a mo-HAWK if over 3,000 cans were donated. As you can see from the pictures above and below, the Golden Hawks indeed made it past 3,000 cans and the rest is now history. This community service project was made possible by the school’s NHS students and their Advisor, Mrs. Laura Crays. All 3,312 cans were donated to a local non-profit organization in order to help feed the hungry this holiday season. Be the first to comment on "Unique incentives motivate El Dorado community to surpass food drive goal"